One of Google's first engineers shared what she thinks were the company's three biggest mistakes, and Google Buzz didn't even make the list. 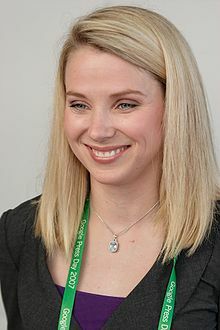 Marissa Mayer was hired by Google in June 1999. She was the 20th employee as well as the first female engineer and her current title is the vice president of geographic and local services. Mayer has seen Google's highs and lows, but she dished about the worst mistakes that the company has made in the last ten years. Surprisingly, the privacy concerns of Google Buzz didn't make her list but perhaps that's because there's a pending class action lawsuit regarding those concerns. Still, releasing Gmail on April's Fools Day and closing down Deja News with no announcement were pretty big gaffes, but I have to disagree with her on calling Wave a mistake. For those of you unaware, Wave was a tool that combined email with instant messaging and internet forums. "One of the things we do at Google is experiment, launch early and iterate. Part of that process is learning about making mistakes," she told Digg. "With Wave, there are certain things that we've learned from that. There are things that we would have done differently." "Perhaps shutting down Deja News at 11 a.m. on a Monday morning and not really having any way to post to or browse newsgroups was perhaps a mistake," Mayer said with a laugh. "Launching Gmail on April Fool's Day was widely misinterpreted." Through it all, she said that Google doesn't really think of these as mistakes but learning opportunities. Mayer didn't specifically address exactly what was wrong with Wave and why Google shut down its development on August 4th, 2010. I personally thought that Wave did what it did very well, but I never had a specific use for it. I do know that the Loading Ready Run guys loved using Wave to discuss and brainstorm ideas for sketches and it was so useful for them that they had to search for a replacement. I myself thought was interesting idea to play RPGs over the web in a better format than forum games do now. Mayer did hint that UI elements from Wave might end up in other Google products and services. That should be interesting.